Walt Disney World is such a vast place that you can spend weeks exploring and still not see everything. 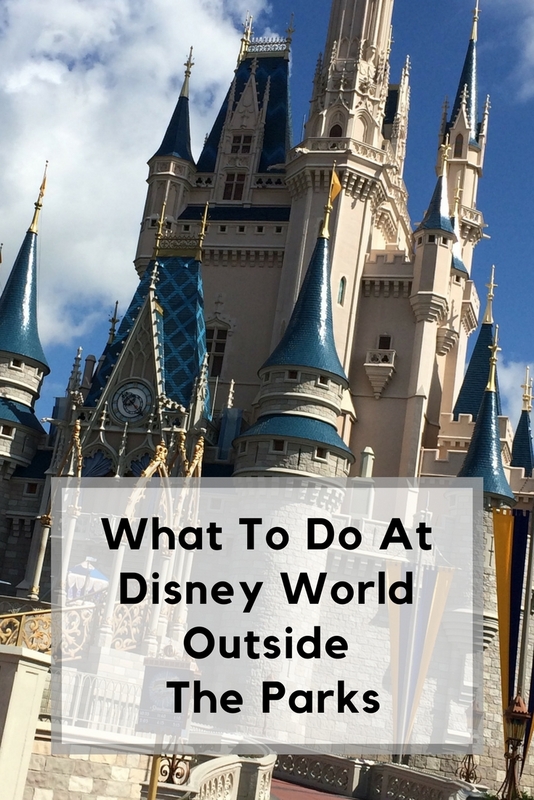 There are even plenty of things to do at Disney World outside the parks which can give you a break from the hustle and bustle, yet still enjoy the Disney magic. 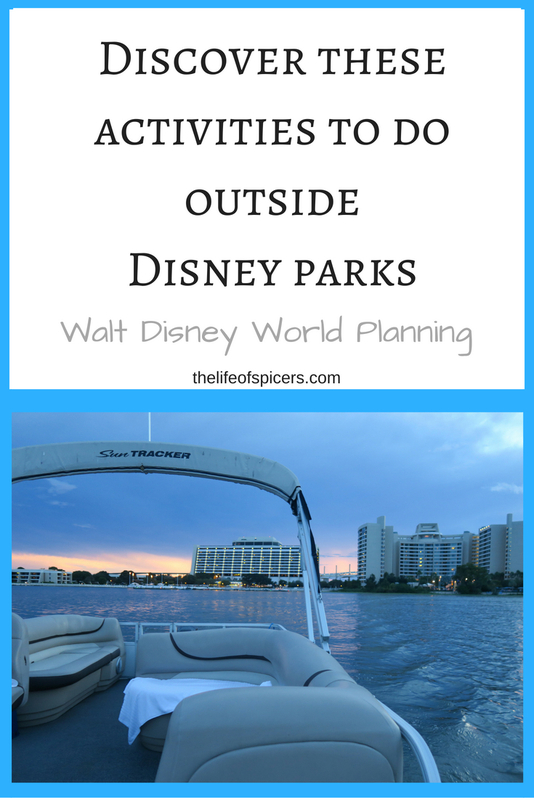 We love visiting different Disney World resorts during our holidays. We have so far only stayed at Caribbean Beach Resort, however we have visited the Polynesian, Grand Floridian, Ft Wilderness, Beach Club and more. We often will spend a day exploring different resorts, usually by arriving at one park entrance and using the monorail system, or the bus service to visit different resorts. Each resort has amazing theming and many of them have lovely restaurants that are worth a visit such as Ohana at the Polynesian. The only thing you cannot do at the resorts is use the pools if you’re not staying. Plenty of the Disney resorts also have great opportunities for character dining. The Hoop De Doe Revue is a dinner show base at Fort Wilderness Resort and Campgrounds. There are generally two or three shows nightly, and it is well worth a visit. 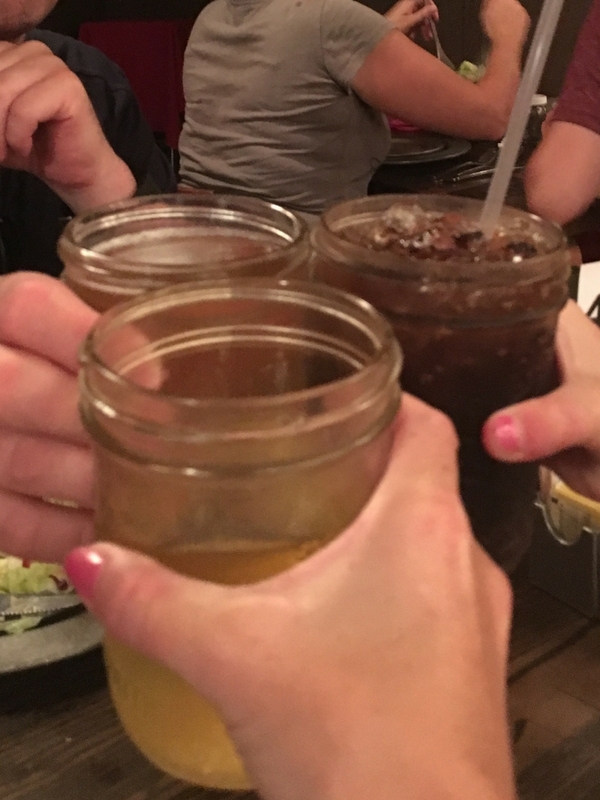 We enjoyed our experience so much we will definitely do it again. The food is amazing with salad, corn bread, all you care to enjoy fried chicken, ribs, mashed potato, beans and corn. Followed by dessert of strawberry shortcake. All the while you are eating this you can enjoy a show from the Pioneer Hall players. I guarantee lots of laughs and feet stamping. If you don’t fancy the busyness of the Happily Ever After fireworks from inside Magic Kingdom, take a trip to the Polynesian Resort or the Grand Floridian resort and watch from the beaches. 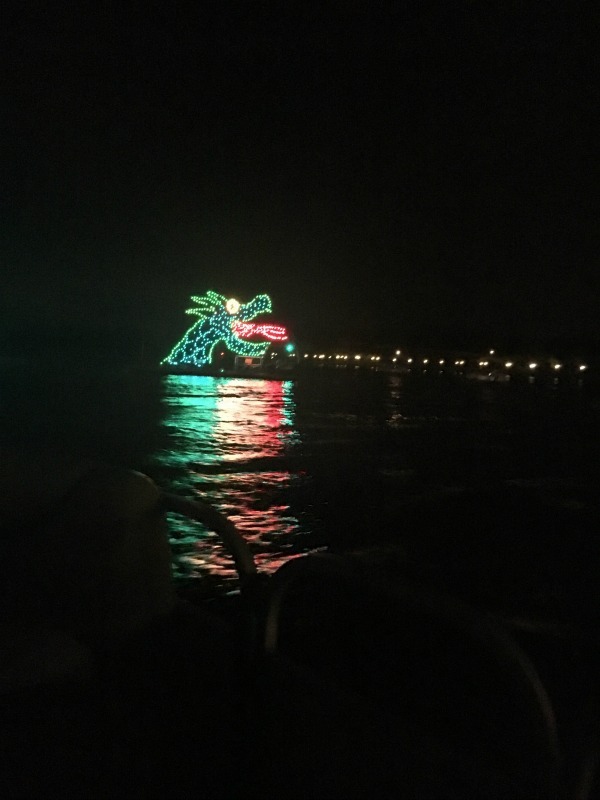 You will also be treated to the Electrical Water Pageant that tours the resorts on Bay Lake after the fireworks. Watch Epcot’s Illuminations From The Boardwalk or Yacht and Beach Club. Leave the busyness of Epcot and watch the fireworks of Illuminations from the Boardwalk or Each and Beach Club Resorts. Find a bench on the Boardwalk and enjoy the scenery as the sky above you is lit up. Disney Springs is an attraction in itself. Full of restaurants, shops and scenery, you can spend ages here. We always like to visit the Christmas shop to purchase a new ornament, and we cannot pass up the World Of Disney shop for a good browse. 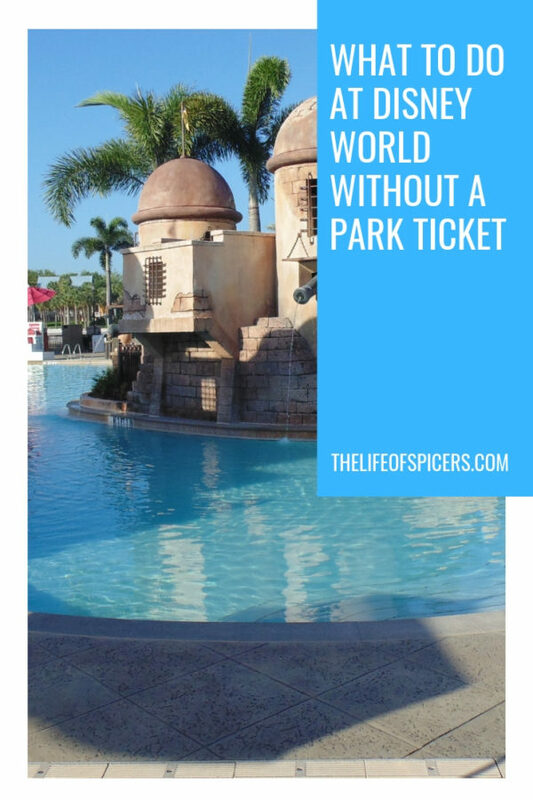 If you have want to enjoy some spa facilities when at Walt Disney World, then you can check out either the Grand Floridian, or Saratoga Springs Resorts as they each have spa facilities available. Boats are available to hire at Disney World to take out onto Bay Lake and Seven Seas Lagoon. 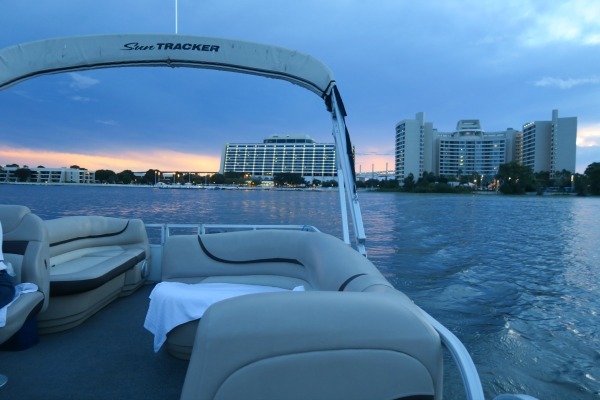 You can opt for a Sea Racer seating 2 guests, or a Boston Whaler seating up to 6 guests, or even a Sun Tracker seating up to 10 guests to enjoy some time on the water. You could even book a speciality fireworks cruise to enjoy the Happily Ever After fireworks on the water. The Boardwalk itself has plenty of attraction to keep you busy. 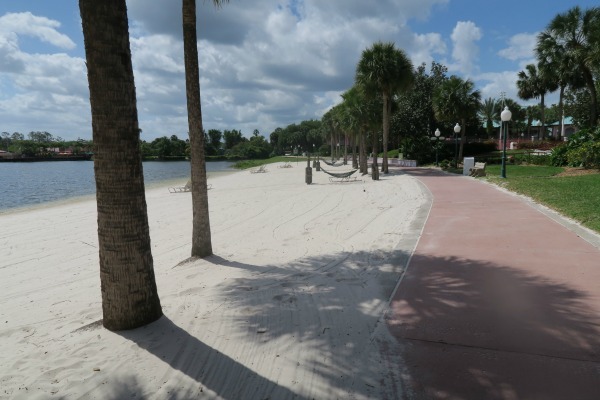 From restaurants and amazing scenery, it’s well worth a stroll to escape the madness of the parks. You could arrive directly at the Boardwalk or walk via the International Gateway in Epcot near the France pavilion to enjoy some more amazing scenery along the way. If you fancy a spot of afternoon tea, then you can visit the Grand Floridian and enjoy a very special afternoon tea. This is definitely on my list of things to experience during a future trip. 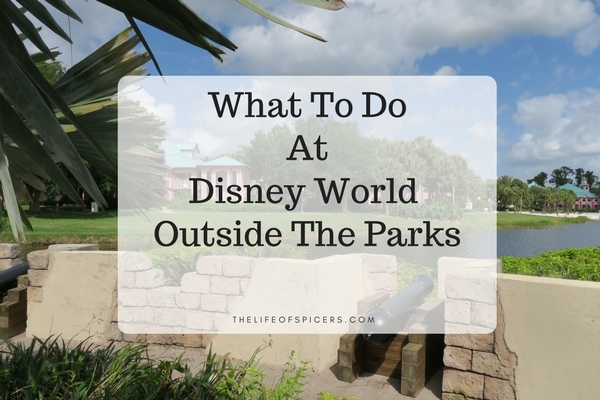 As you can see Walt Disney World isn’t just about the park, there are plenty of things to do at Disney World outside the parks.